Rabett, this is shameless character assassination. I made an honest mistake, and as soon as it was pointed out, I admitted it. You've never made one? So sue me. I refuse to participate in this kind of puerile dialog. It does not affect my underlying claim, which is that Hansens's 1988 models have performed much more poorly than "Honest Jim" admits. Interested readers can follow the discussion here or here..
Eschenbach says: "I refuse to participate in this kind of puerile dialog". 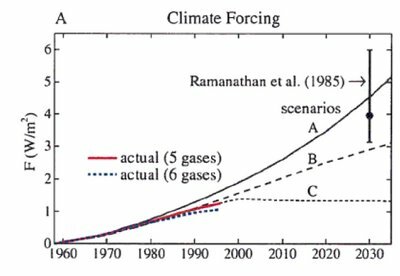 Eschenbach and his buddies over at Climate Audit will seemingly do anything to "disprove" a paper that James Hansen wrote 20 years ago -- and that turned out to be quite prescient (which is what drives the Climate Auditors crazy, of course). If this is not the definition of puerile, I don't know what is. Eschenbach obviously does not realize how stupid his critique of Hansen makes him look. 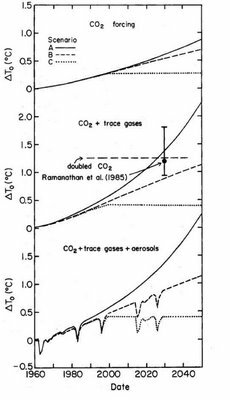 "the CO2 mixing ratio growth in Scenerio A is exponential and in B it is linear, a favorite distraction of an unworthy competitor, but one should not fall into the well known fallacy of Pielke. 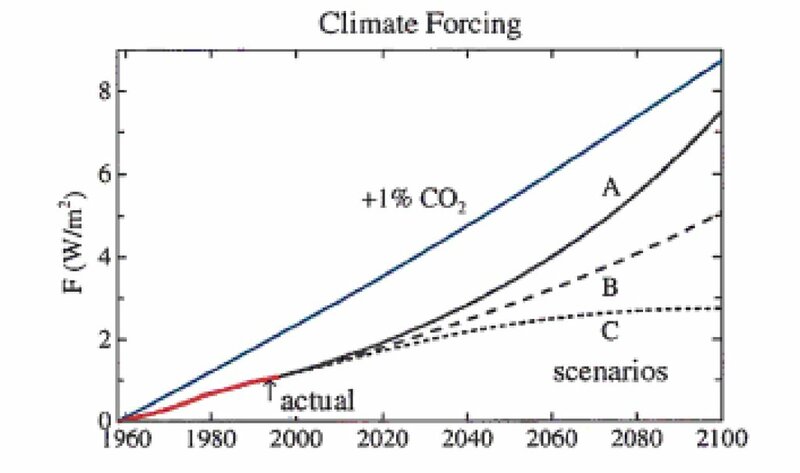 Remember class, for small changes (10-20 ppm in 300) a linear change closely approximates an exponential one." 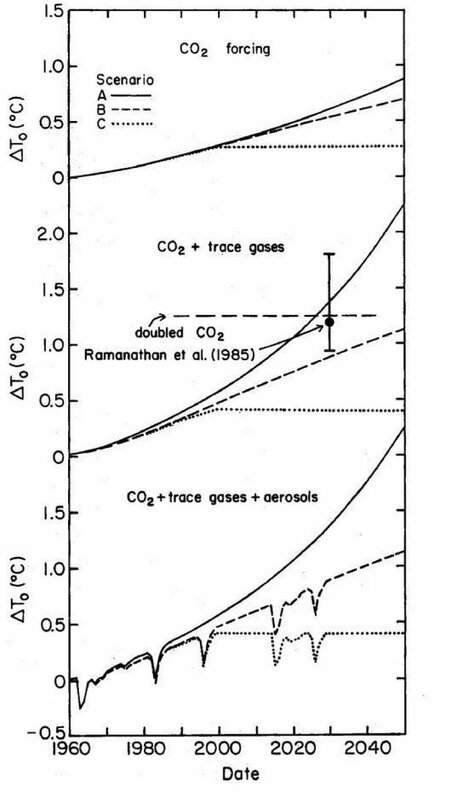 ... and the changes that Pielke was most confused about (growth in the yearly CO2 increment) were really small ( of order 1% of 1.5ppm or about 0.015ppm). 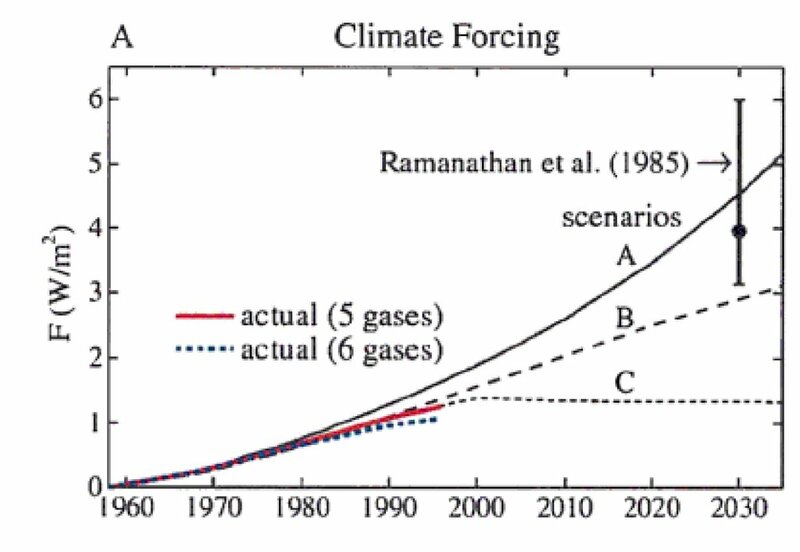 Not only that, he then made the same mistake that many innumerate people do, which is to take percentages out of context and compare the raw percentages rather than the actual cumulative totals for the different scenarios and reality. 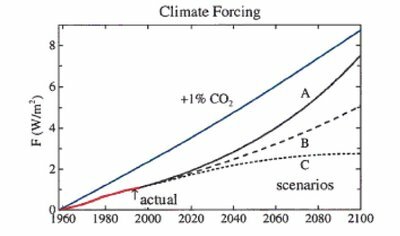 The fact that 1% is twice 0.5% is not sufficient reason to conclude that two scenarios for which the increment in CO2 is growing at those rates will yield significantly different cumulative totals over the short term. But this is precisely what Pielke concluded before he had even looked at any of the actual cumulative totals. I am more than a little suprised that a Univesrity would give a PhD to someone who has not mastered this very basic concept. 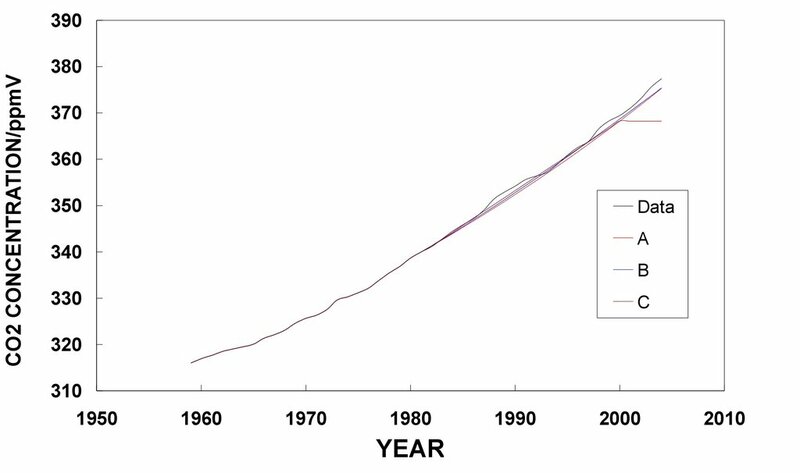 Then again, Pielke is a political "scientist" and perhaps they do not need to take much (any?) math. "Eschenbach obviously does not realize how stupid his critique of Hansen makes him look." - Well, he likely does realize but does not care a rotten carrot. Like the Rabett who's not to mess with commented somewhere else: it's called Calvinball and if you try playing science, you lose. As of 2012 Mr. Eschenbach has been employed as a House Carpenter. He is not a “computer modeler”, he is not an “engineer” and he is certainly not a “scientist” (despite all ridiculous claims to the contrary).